My recent conversation with wine distributor Todd White, founder of Dry Farm Wines, changed everything I thought I knew about alcohol — wine in particular. It’s fascinating to consider that wine has no nutritional labeling, and we don’t even think twice before pulling our favorite brand off the shelf. What if you knew that 51% of all wines produced in the U.S. are made by just three giant conglomerates in highly processed factories, and these companies irrigate throughout their wine process, using one (or more) of 76 FDA approved additives, and the result is a highly altered product that is full of sugar? For me, as I learned these details from Todd it was a total pattern interrupt. Really? How could this be? Added sugar in wine? Artificial ingredients? Red wine has always been a “safe place” for me, but why? Why had I never considered what’s in it? It obviously makes a difference. Obviously now, that is. I stopped drinking white wine years ago because every time I had a glass, I got a headache and would wake up with a hangover (even from one glass). Todd sent me a sample case of the wines he curates (he scours the world for wines that meet his high standards), and after drinking three bottles of white, I didn’t experience one of my normal symptoms. Todd’s main requirement for the wines he distributes is right in his company name — dry, as in grapes that are not irrigated. This may seem like a minor difference, but if you hear what Todd and I talk about, you may not want to blindly purchase wine from the shelves, regardless of price point. He likens the process of a dry wine root struggling and competing for water against its neighbors to the character building we achieve through hardship, and this always delivers a better product — growth comes from the struggle. There also science behind this when it comes to the fermentation process and the differences between laboratory yeast and native yeast. Here’s the other thing: the wines Todd selects have a lower alcohol content than the cheap wine being put out by the major distributors. Why? The wineries he selects to distribute from are all “dry farms” that do not irrigate, and each one allows the fermentation process to go through to completion, allowing the yeast to consume pretty much all of the natural sugars from the grapes. Additionally, these wineries never add more sugar during the fermentation process (something called chaptalization that is common in the U.S. and horrifying to those of us trying to avoid sugar). 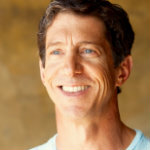 We also get into Todd’s meditation routine and life practices, as well as ways to tame the inner critic we all have. It’s an awesome conversation with a true pioneer in the field of responsibly grown wine. If you’ve eliminated sugar from all aspects of your life and haven’t considered wine as an issue, come hang out with us. For more from Todd and Dry Farm wines follow them on Twitter or Instagram, or you can email Todd directly at [email protected] Special Offer: Get a ONE PENNY bottle of wine when you sign up for Todd’s wine club using this link: dryfarmwines.com/wholelifechallenge. Cyclical Ketogenic — Lifestyle that promotes cycling carbs while still maintaining a ketogenic state. Ketosis — Information on Ketosis put into the context of failed dieting methods. Mark’s Daily Apple — Mark Sisson’s blog. Primal Endurance — Mark’s latest book. Mega Purple — Some information on a common wine additive. Wim Hof — Breathing exercises to control your immune system.